98 Fairmount Road West is a farm that marries equestrian charm with practical functionality. 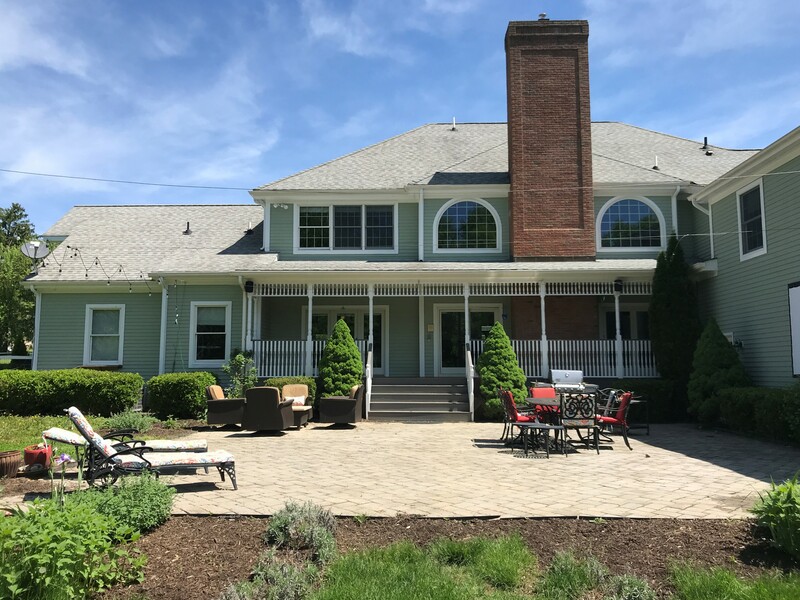 The residence, backyard, stable, and pastures, are on 10 acres adjacent to parks and preserved farmland, making this residence the perfect spot for entertaining large or small groups of friends and family or enjoying outdoor activities in the beautiful natural setting of the farm as well as the adjacent parkland. 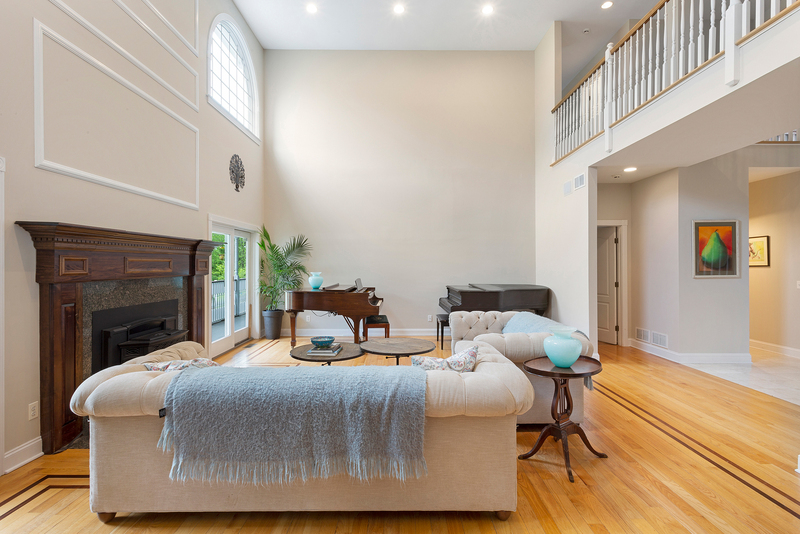 Details throughout the home include an open floor plan, neutral decor, large bedrooms, high ceilings, double-hung windows and recessed lighting to maximize light in rooms throughout the day, Victorian-style architectural detail, and a two-story great room with gorgeous, sylvan views. 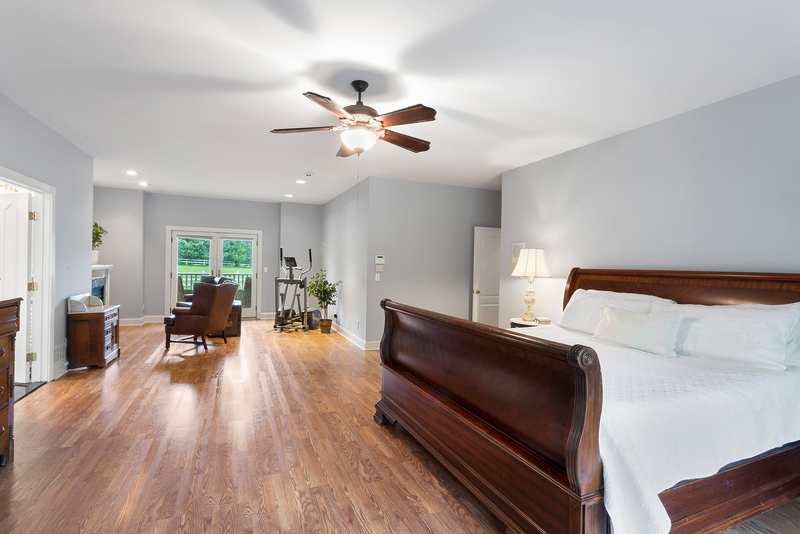 Wood and laminate floors throughout are ideal for keeping dirt to a minimum — always a challenge in a farm environment! 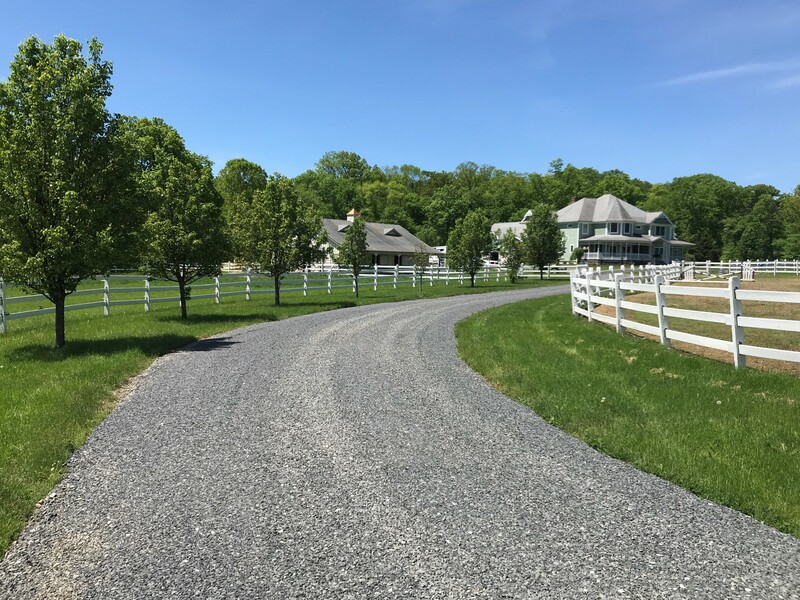 Visitors approach the property along a gracefully curving, gravel driveway, lined with white post-and-board fencing accented by ornamental pear trees. 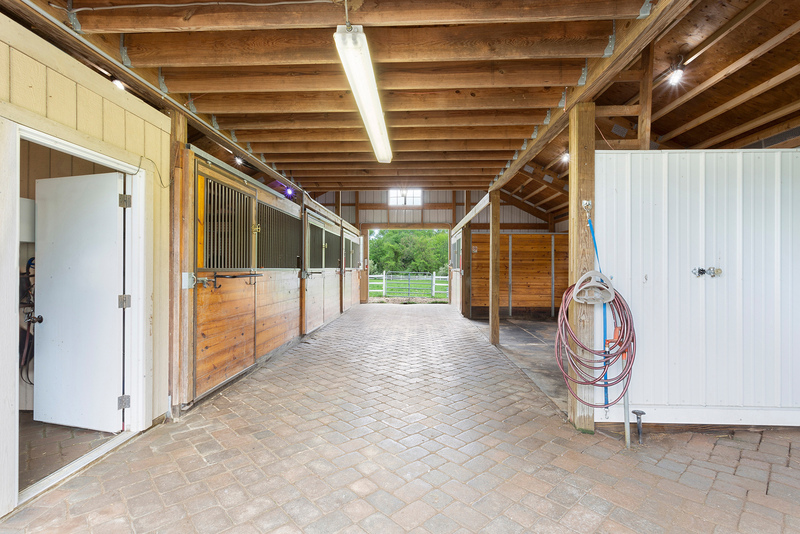 The driveway sweeps past pastures and allows access to the residence as well as the stable area. 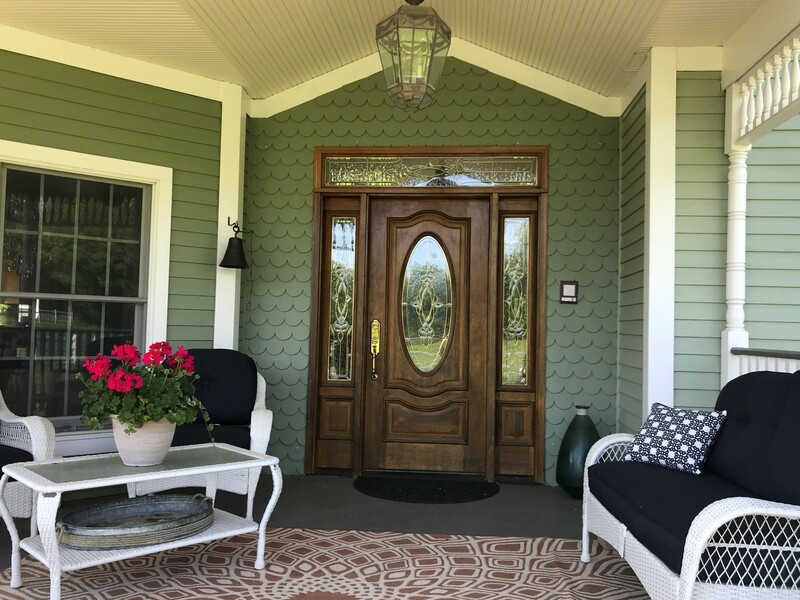 A paver walkway leads to the home’s front entrance which is distinguished by a solid wood door with leaded glass accents and sidelights leading visitors to a grand central foyer connecting the public and private areas of the home. 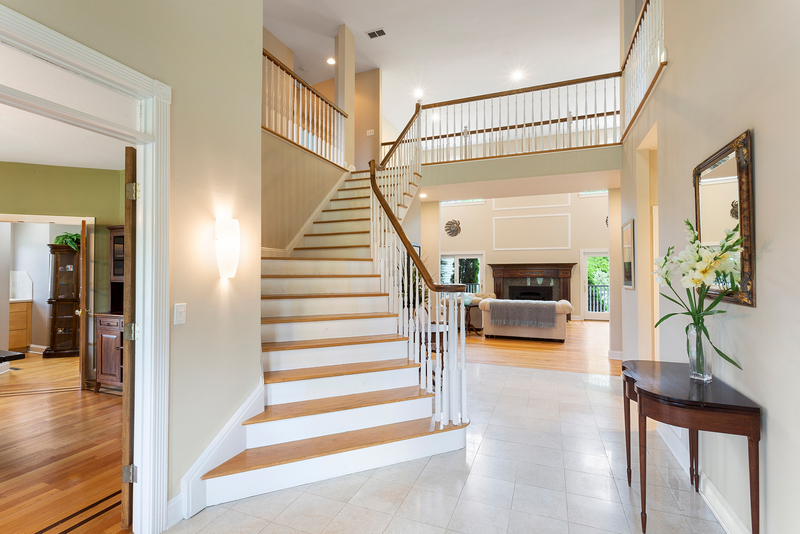 The foyer leads to a large, south-facing two-story living room at the heart of the main floor of the home which overlooks the rear of the property by way of two sets of double sliding doors and architectural windows. 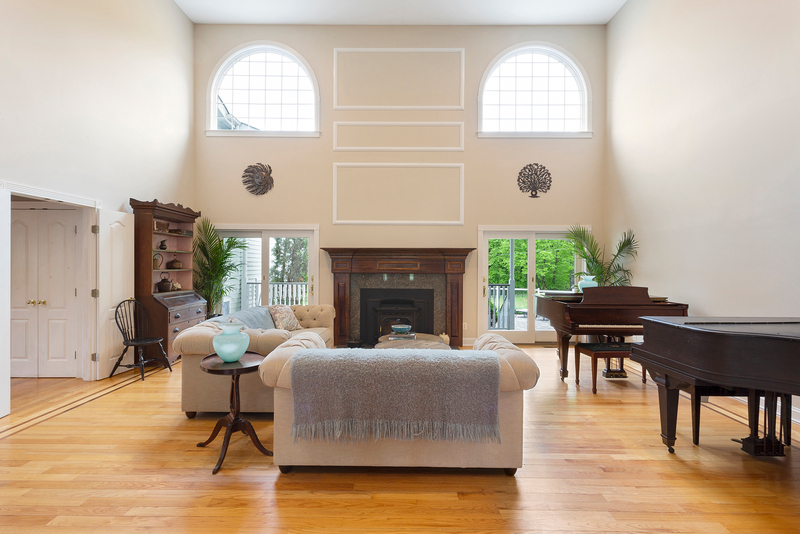 The living room features a wet bar with glass-fronted cabinetry, a gas fireplace with stove insert, marble surround, and wood mantle and is large enough to accommodate multiple sitting areas and a baby grand piano (or two). The living room connects through double doors to the kitchen. 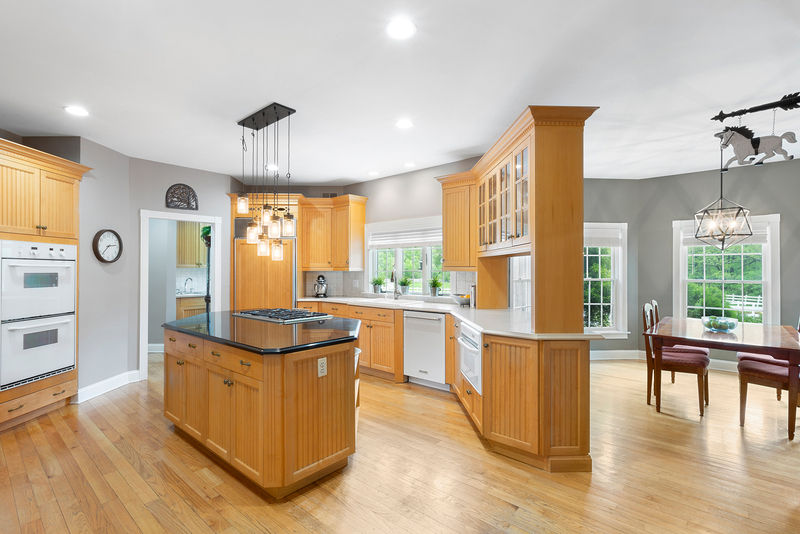 The home’s spacious, eat-in kitchen has a floor plan that works well for a homeowner who loves to cook and/or entertain. 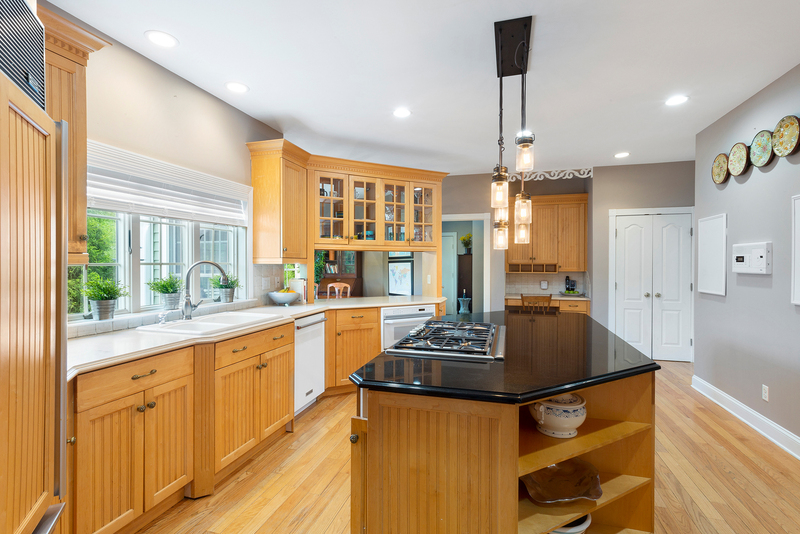 The center island with six burner Thermador gas cooktop (with interchangeable griddle) serves as a central work area and gathering spot. 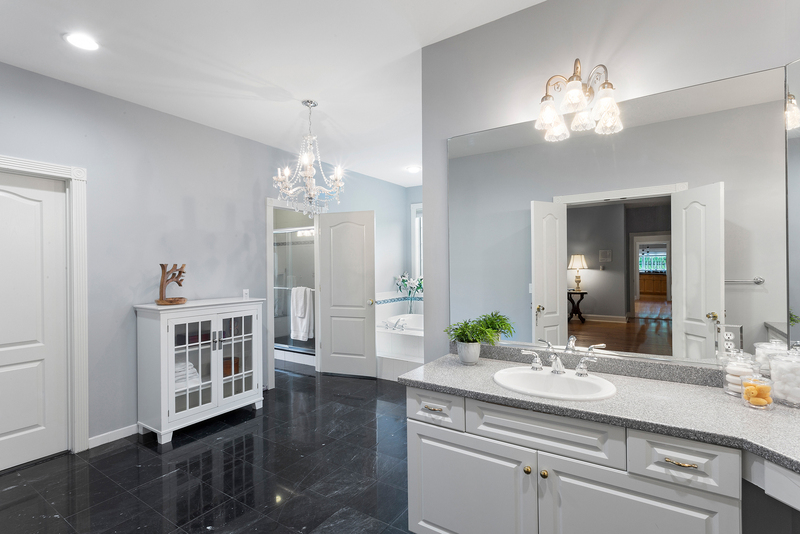 Additional appliances include a Thermador double wall oven, KitchenAid dishwasher, SubZero refrigerator. 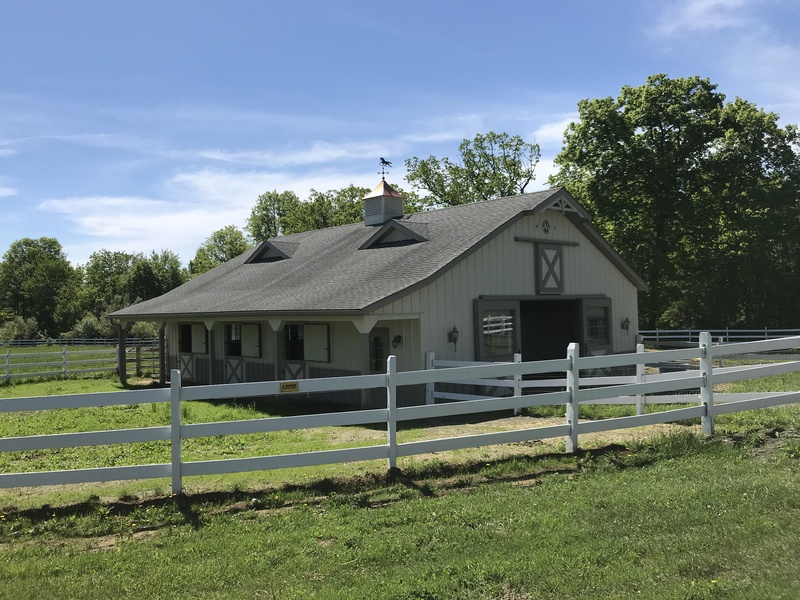 A large, deep, enamel double sink with brushed nickel gooseneck faucet with sprayer is in a perfect location to look out to the pastures and barn area. 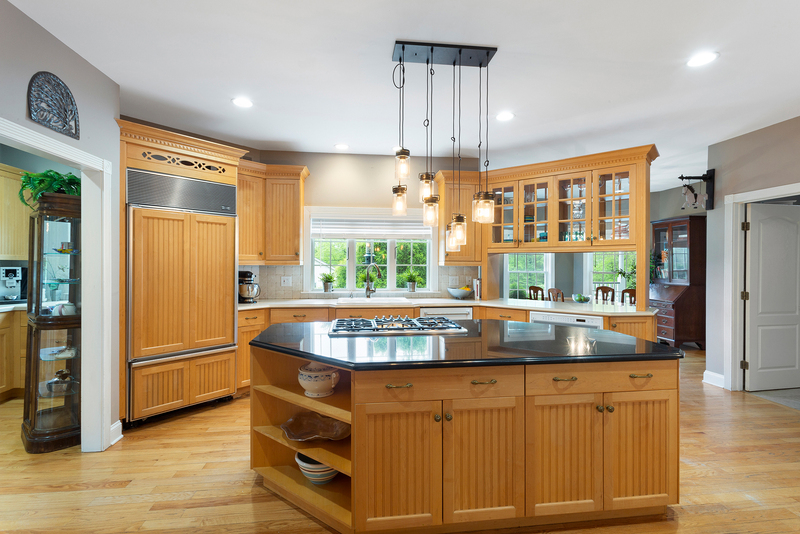 Plentiful cabinetry with glass-fronted doors, open shelves, and desk area are topped with white Corian-style counters. 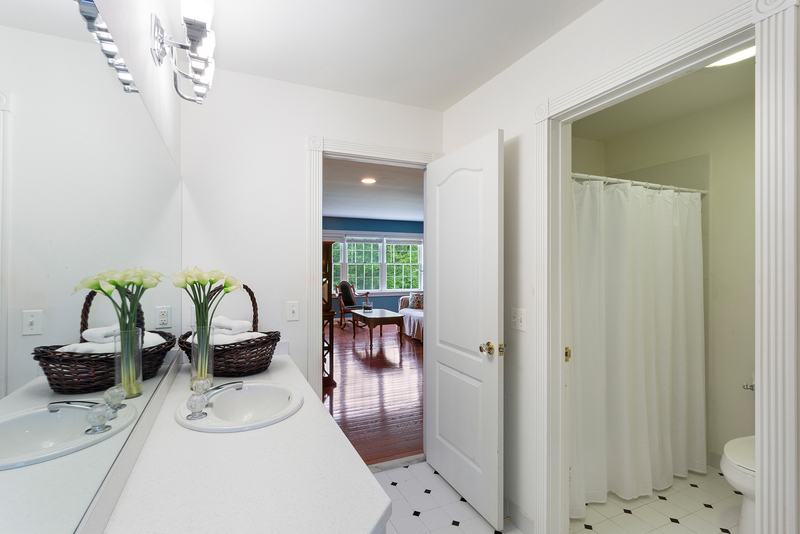 A reach-in closet near the doors to the family room serve a range of possible uses. The large, hexagonal eat-in area has windows overlooking the stable and pastures and features a bronze chandelier. 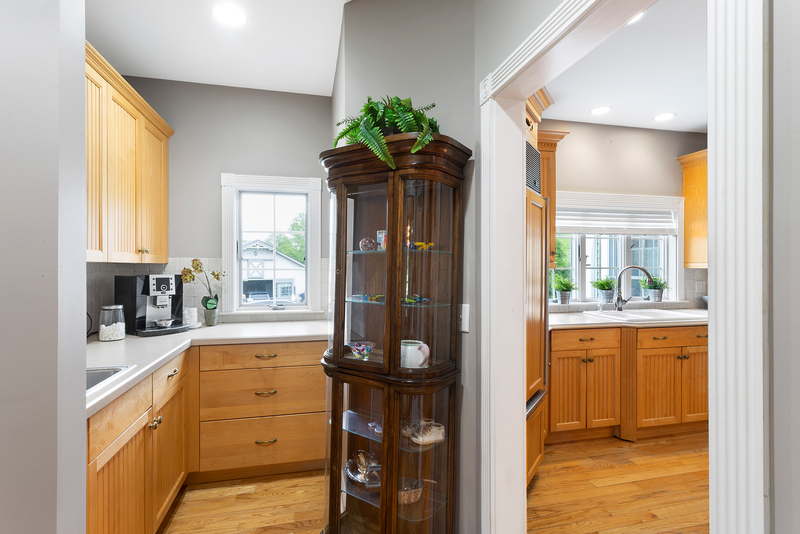 The cabinets and countertop styles are continued from the kitchen into the butler’s pantry which connects the kitchen to the dining room and features a service sink and deep walk-in pantry closet with frosted glass decorative door. 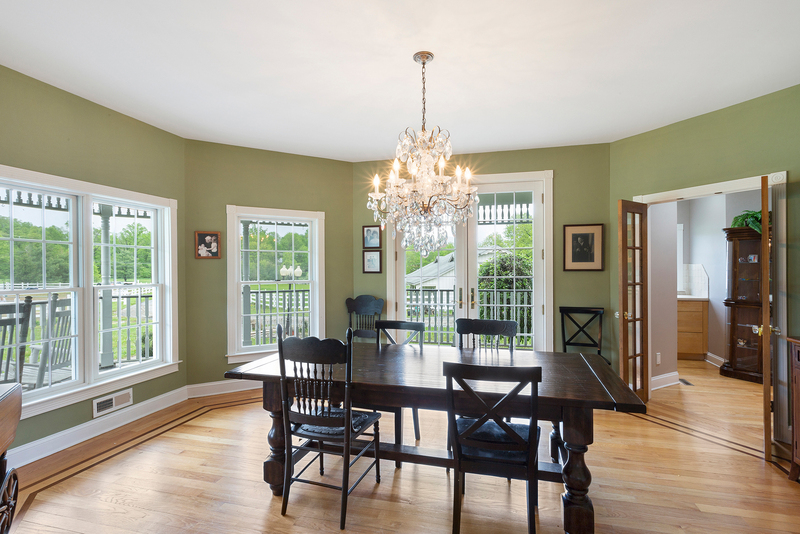 The dining room overlooks the pastures to the front and side of the home with views through the deep front porch. 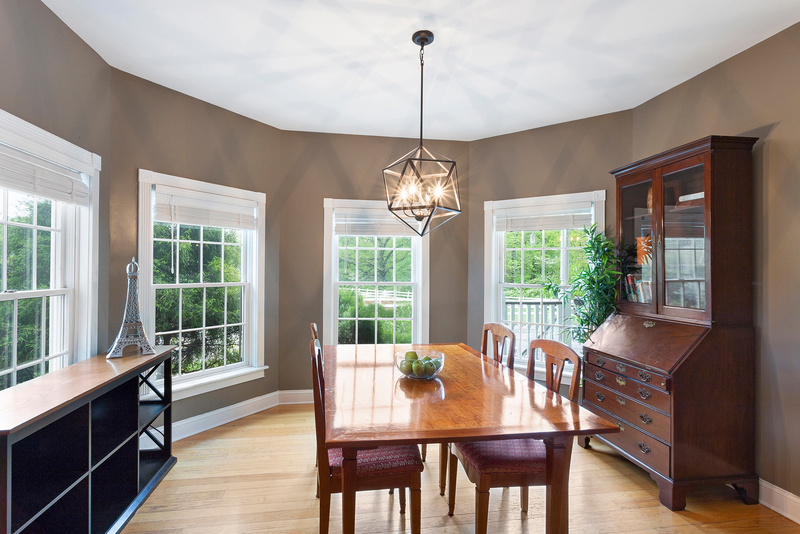 The dining room features a chandelier and double French doors connecting it with the foyer. Across from the dining room through corresponding French doors is the home’s study which could also be used as a music room or home office. 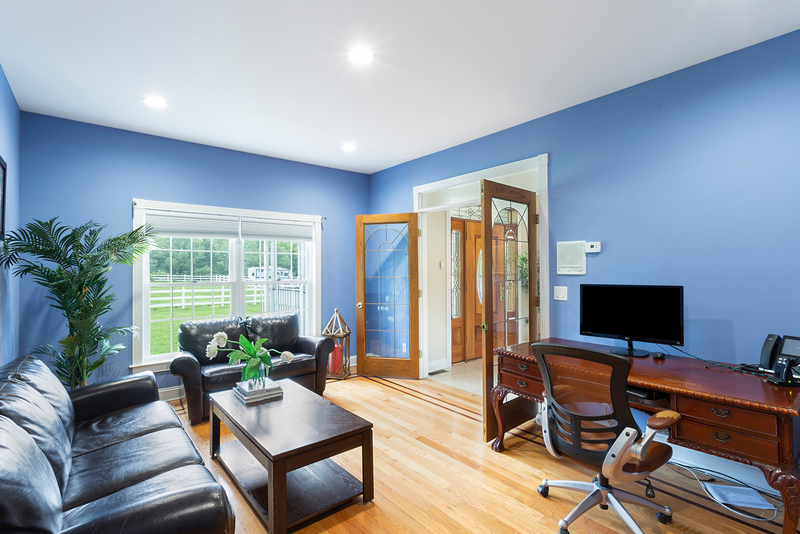 Like the dining room, it has views oriented toward the white-fenced pastures. 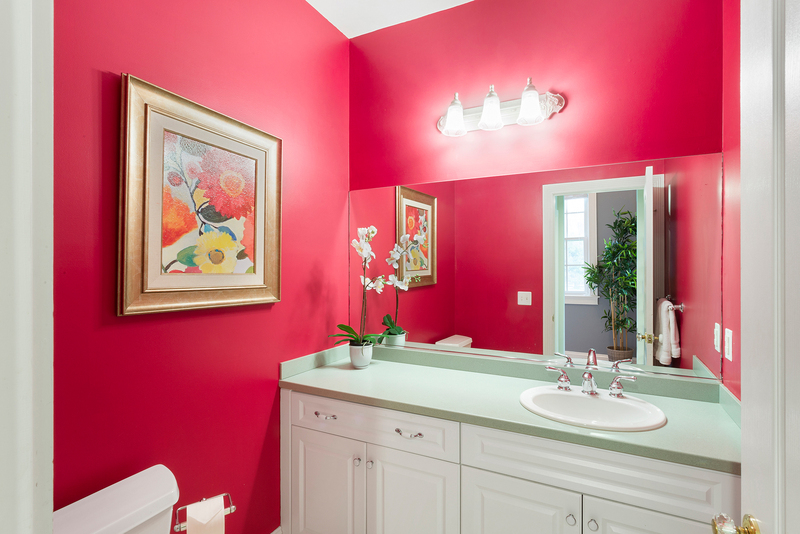 The public areas of the first floor are completed by a powder room adjacent to an oversized coat closet. The master bedroom suite is well-located on the main floor of the residence, just off the central area of the home, but separate enough to provide privacy and views over three sides of the property. 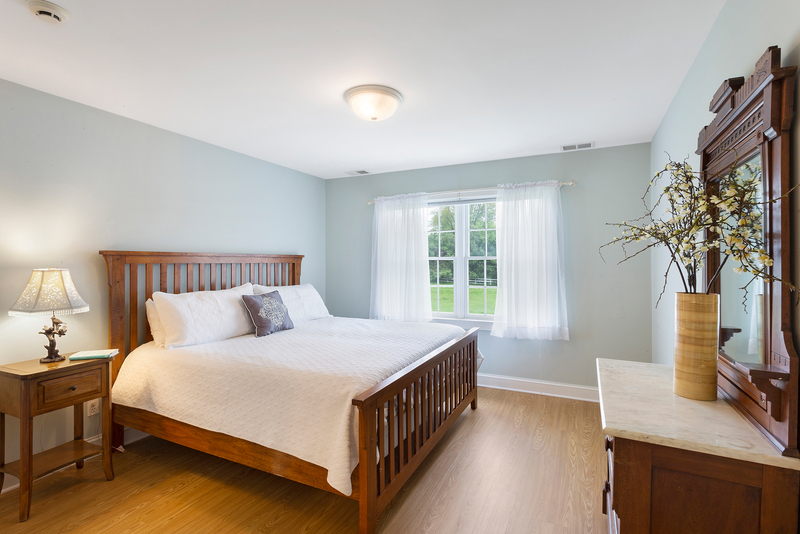 The main area of the master bedroom features triple sliding doors to the covered porch overlooking the fenced backyard. A separate sitting area connects to a private covered porch overlooking pastures as well as a gas fireplace with marble surround and wooden mantle flanked by custom shelving. 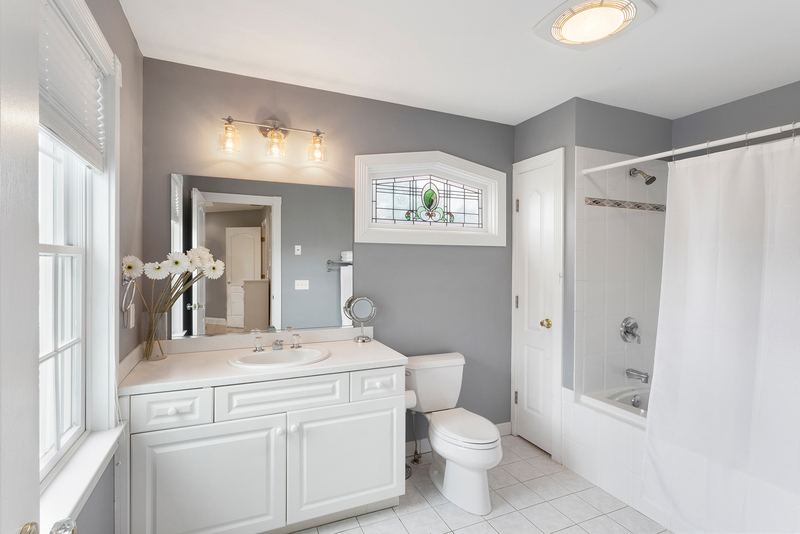 The bright, spacious master bathroom features a soaking tub overlooking the western side of the property, marble tile flooring, two large walk-in closets with windows, and a separate room with a double-size stall shower, sink, and toilet. 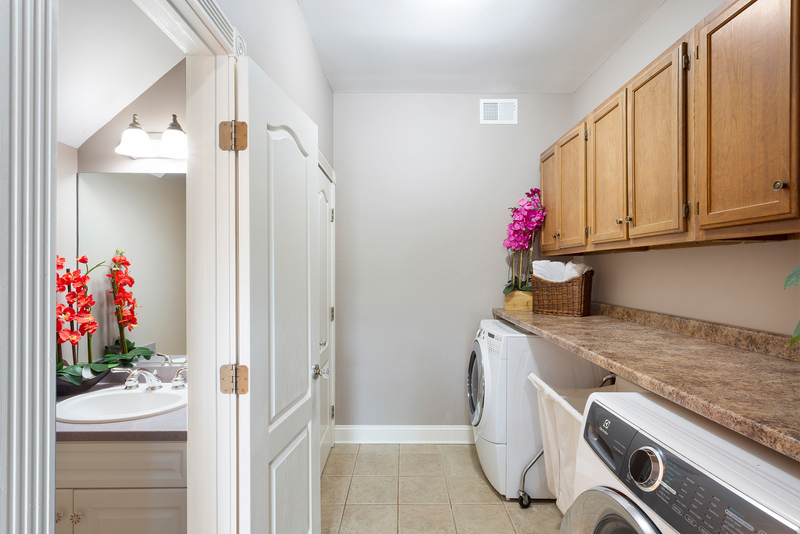 The first floor also features a large mudroom/laundry room with dedicated powder room and coathooks. 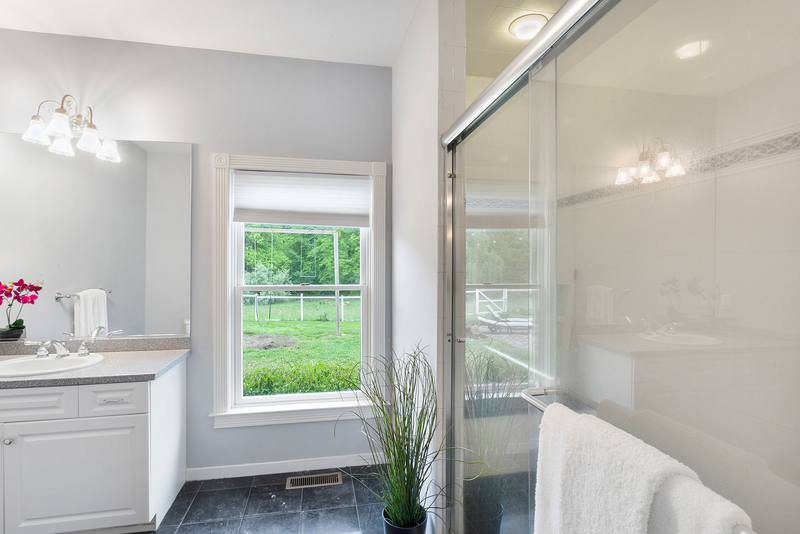 The mudroom can be accessed from the kitchen, the garage, or the covered back porch, making it the perfect transition area through which to enter the house with groceries or muddy boots. A coat closet has been upgraded with a dog door, allowing dogs to have free range between this indoor space and the fenced backyard (this feature could be easily eliminated so that the space could be simply used as a closet). 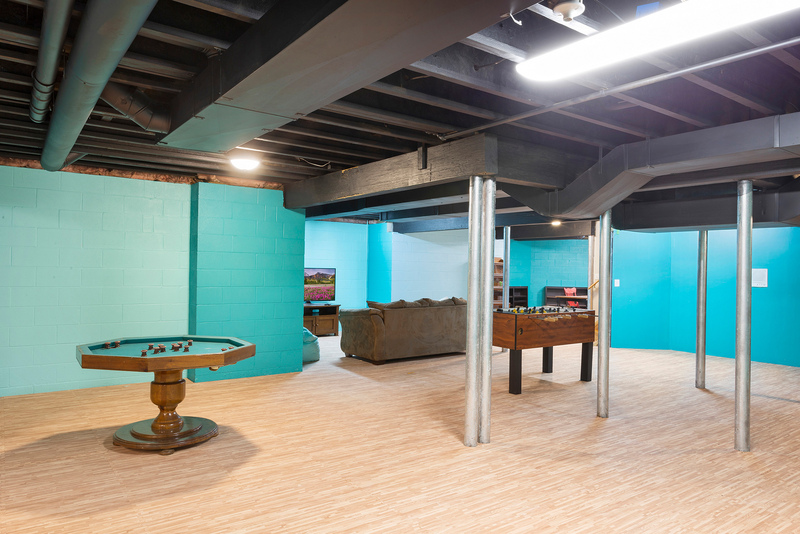 The spacious, unfinished basement level of the home adds potential for significant additional living space to the home. Utilities are contained in a separate room in the basement. Systems of the home include 200 amp electrical service, 5-bedroom septic system, well water, 4 zone, natural gas-fired forced air heating, 4 zone central air conditioning, gas-fired hot water heaters, central vacuum, smoke detectors, and fire extinguishers, all of which add to the ease of living in this elegant country retreat. Outside the home, a fenced area at the rear of the home is accessible from covered porches adjacent to the living room and master bedrooms. This area has a large paved patio area and perennial shrubs and flowers and overlooks the stream and woods at the rear or the property abutting the adjacent parkland. 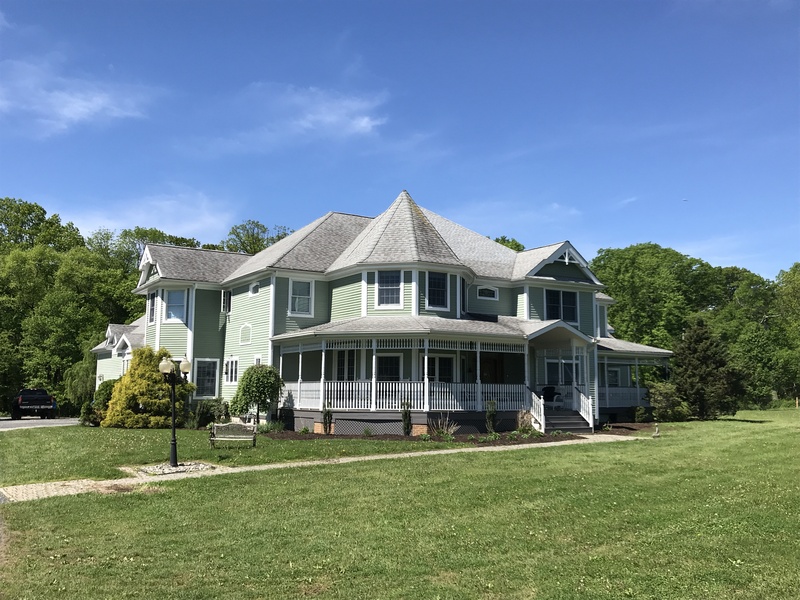 At the front and sides of the property are multiple deep front porches with room for tables and chairs to maximize enjoyment of the pastoral setting. Additionally, wood siding, brick chimneys, and specimen trees and perennial flowers accent the home’s distinctive Victorian-style architecture. 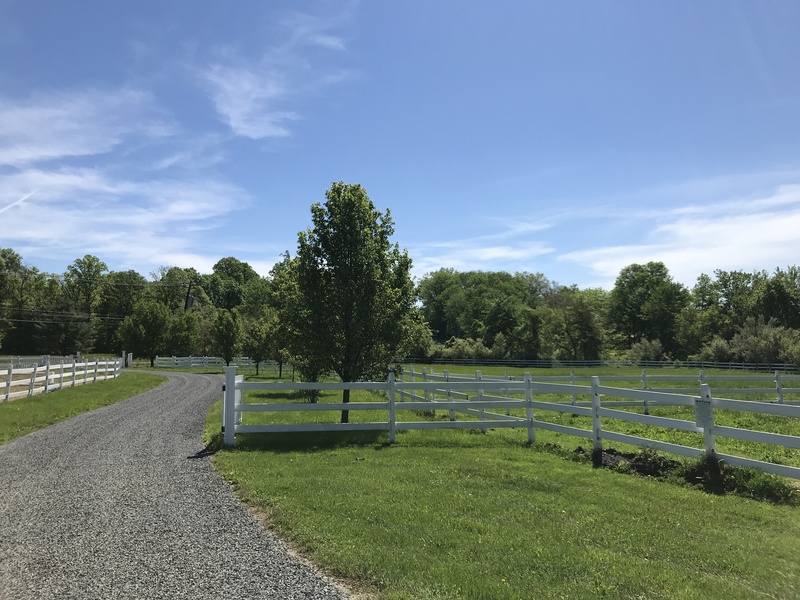 The farm also features a fenced outdoor arena and multiple fenced pastures, all fenced with white post-and-board fencing. It is currently used as an equestrian property but is also suitable for for other livestock and/or for the cultivation of grapes or other crops. The property is adjacent to Christie Hoffman Farm Park offering direct access to its open and wooded riding trails as well as a cross-country jumping course on 180 acres and includes additional potential for riding through the miles of trails on private and public land maintained by the Tewksbury Trail Association. Tewksbury Township is located one hour’s drive from New York City. It is one of the most prestigious areas of Hunterdon County and a town renowned for its natural beauty, private estates, and upscale lifestyle marked by the popularity of equestrian sports related to the nearby Essex Hunt Club, United States Equestrian Team Foundation, and private polo fields within the township. It is convenient to shopping, golf courses and country clubs (Hamilton Farm, Trump National, Fiddler’s Elbow), commuter highways (Interstate 78 and 287), NJ Transit trains and TransBridge Lines buses to New York City, and airports including Newark Liberty International Airport and smaller regional airports (Morristown Airport, Solberg Airport, Somerset Airport). 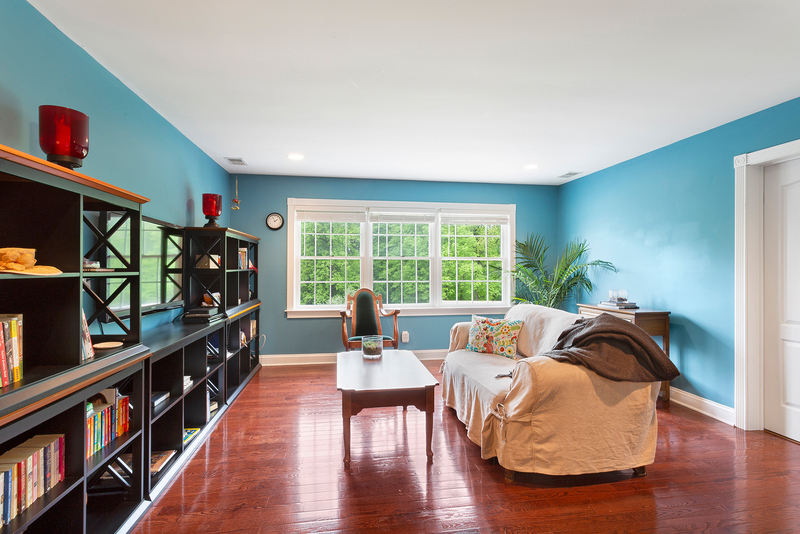 The property is near private schools (Willow School, Pingry, Gill-St. Bernard) and is served by Tewksbury Elementary School, Old Turnpike Middle School, and Voorhees High School.